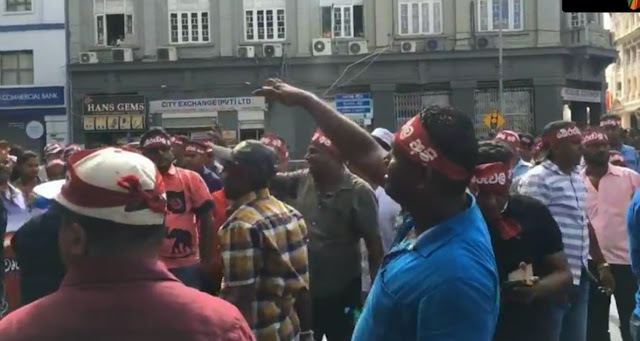 Until now it is reported that people are coming to Colombo for the Janabalaya protest organised by Joint Opposition. 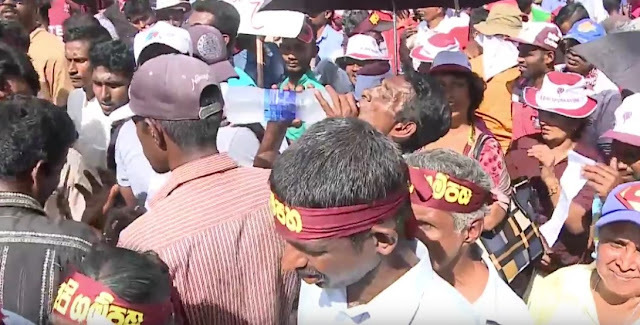 It is expected that former President Mahinda Rajapaksa is expected around 3 and that the rally is to start by 2 in the afternoon. However, though at the time of reporting this, 3.30 the outstation crowd has failed to join in with their Colombo counterparts. Negombo road, Borella, Maradana and Town Hall. Already some crowds who have come in buses have after the buss stopped, have got off the buses and are found relaxing and the organisers have said that the opposition rally could be begun by about 4 in the evening. 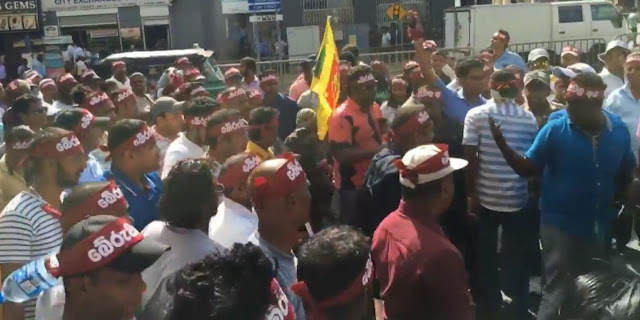 Though former Mahinda Rajapaksa, former Security f Defence Gotabhaya Rajapaksa inclusive of leaders of the Joint Opposition though expected to join the opposition rally in Colombo Pettah, they have still not turned up.